Stop a secret druidic order from releasing an ancient evil! A young yet notable archeologist is invited to the sleepy town of Brittany to study a set of ancient menhirs, or magnificent standing stones. She soon realizes that apart from being groundbreaking research, this mysterious and dangerous adventure could change everything. 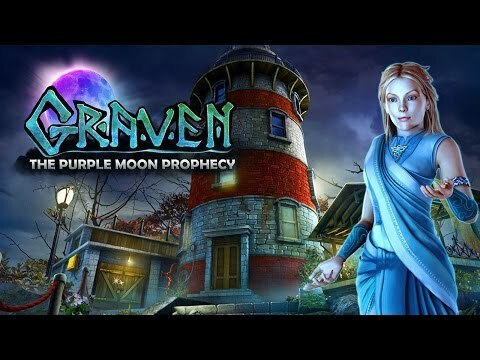 Wander through dark caves, investigate an eerie lighthouse, travel to the mythical land of Avalon and feel the power of ancient druids in your soul! Reveal what lies behind a prophecy foretelling chaos and evil being unleashed on the night where a comet hides behind the moon, turning the sky purple. Race against the clock to save not only yourself but the fate of two worlds! G5 Entertainment AB. G5 Games and G5 Entertainment are registered trademarks of G5 Entertainment AB.